Quentin Abramo founded Faciliteq Business Interiors in 2005, to create sustainable, economical and employee-friendly workplaces. 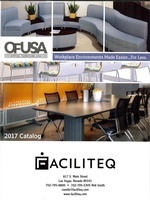 Faciliteq was built on and remains true to the conviction that workplaces should be designed thoughtfully – with specific regard to environmental impact, technological implementation and the comfort of those using it. Under the management of Rob Smith, Faciliteq is now serving the Southern Utah area. 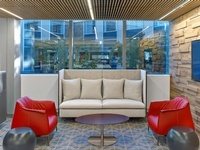 Smith has over a quarter century of experience providing business interior products and services. We are excited to be a part of the St. George community and welcome the opportunity to assist businesses relocate, expand or remodel their interiors. Please also visit our website www.faciliteq.com.